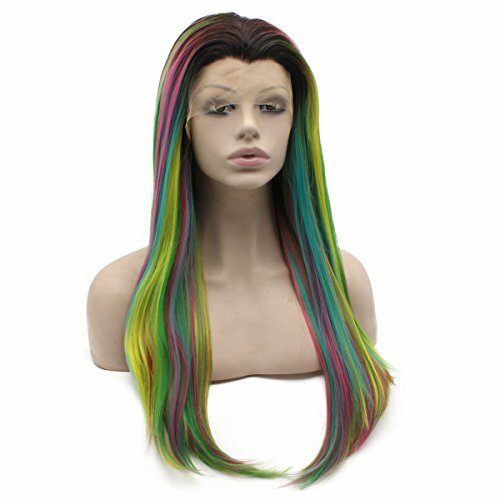 Material: Top Quality Heat Resistent Synthetic Fiber Wear this natural hair wig in parties or for daily use and show your beauty and confidence! 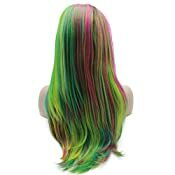 Daily and cosplay party uses: stylish design with half hand tied natural hairline, all photos are taken by actual wig, soft & silky touch. 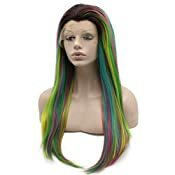 It can be used for party, cosplay, costume, for fun or for daily use. 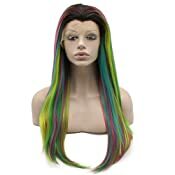 This lace front wig is medium average size with adjustable strap which can suit most head size. Kindly remind: although all photos are taken by actual item, maybe slightly color difference due to lighting and monitor etc. If care, please contact us to know more freely before order.